Contact Palm Beach County, Florida Uber Accident Lawyer Gerson & Schwartz, P.A. The newest trend in transportation around Palm Beach is using ride-sharing services such as Uber. While Uber use in South Florida has been booming, so have accidents involving Uber drivers. In addition, the Florida government has not made much progress in determining how to regulate the ride-sharing industry, allowing many loopholes to exist for Uber to avoid liability for the injuries of accident victims. If you have been injured by an Uber driver, it is critical to seek legal representation from a law firm that understands how complex Uber accident cases can be. Please consult with an experienced Palm Beach Uber accident lawyer at Gerson & Schwartz, P.A. for help today. Any of the above acts can easily lead an Uber driver to collide with other vehicles, pedestrians, motorcyclists, bicyclists, or even to be involved in a single-car accident. All of these can cause serious injuries to both passengers in the Uber and any other victims involved. The driver’s insurance policy denies coverage because the vehicle was being used for business purposes and to make a profit. You do not have personal injury protection (PIP) insurance of your own or your policy limits will not nearly cover your losses. Uber does not have insurance coverage for the driver as the company initially promised. Uber tries to avoid liability for the actions of the driver by claiming the driver is an independent contractor or the driver had no passengers in the car. Our Uber accident attorneys that serve Palm Beach understand the nature of all of these complexities and will explore every option for you to receive the compensation you deserve - either from an insurance company or from a personal injury lawsuit. We strive for the maximum results in every case, including recovery for your medical expenses, lost wages, pain and suffering, permanent disabilities, and any other past or ongoing costs associated with your injuries. While it is always a good idea to consult with a law firm after any type of motor vehicle accident, it is especially important to do so if you were injured in an Uber accident. 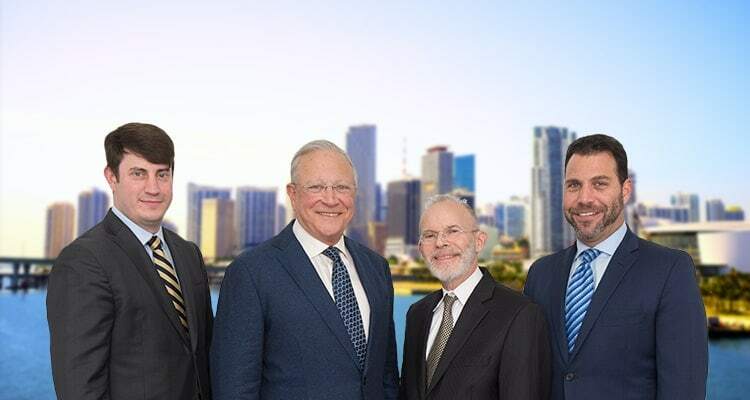 At the law office of Gerson & Schwartz, P.A., our Uber accident lawyers serving Palm Beach will represent your rights as an accident victim, so please call our office for a free consultation to discuss your case.